Miguel is an Award winning R&B singer and record producer who is known for his singles “Sure Thing”, “Quickie”, “How Many Drinks” and “All I Want Is You”. His second album Kaleidoscope Dream debuted at no. 3 on the US Billboard 200 and its lead single “Adorn” earned him a Grammy Award in 2013. He released his third album, Wildheart in 2015, received critical acclaim and was nominated for a Grammy in the category Best Urban Contemporary Album. Miguel was born on 23 October 1985, in San Pedro, Los Angeles, California, U.S.
His father is Mexican and his mother is African-American. Miguel has been in a relationship with model Nazanin Mandi since 2005. The couple got engaged in January 2016. His body specs are currently unavailable. In 2016, Miguel made his first onscreen appearance in the American crime drama film, live by night, which had Ben Affleck in the lead role. He hasn’t appeared on TV series. Miguel released his debut album titled All I Want Is You in November 2010 under Jive Records. The album performed poorly debuting at number 109 on Billboard 200. The album gardually gained traction to become a sleeper hit and sold more than 400,000 copies in the US. His second album Kaleidoscope Dream, was released on October 2, 2012, to critical acclaim. The album debuted at number three on the Billboard 200, selling 71,000 copies in its first week. Miguel’s net worth is estimated at $12 million as of 2018. That money comes from his album sales, world tours, endorsements, and social media activities. 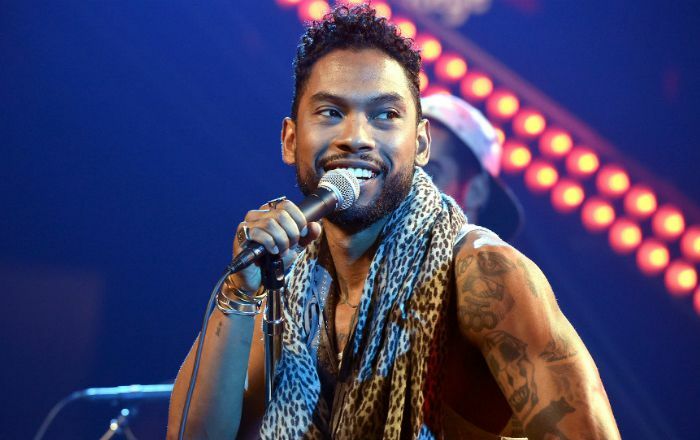 Miguel was introduced to different forms of music such as R&B, funk, hip hop, jazz and classic rock by his parents. His parents divorced when he was eight years old. He wanted to become a dancer at age 5 but started pursuing music when she was 13. He started writing songs at the age of 14. He considers Phil Collins as one of his biggest influences. Miguel incorporates R&B, funk, hip hop, rock and electronic styles into his music. He has won two BET Awards and one Grammy Awards. In 2013 Miguel was nominated for a total of 5 Grammy Awards, of which, the single ‘Adorn,’ earned Miguel his first Grammy Award for Best R&B Song.